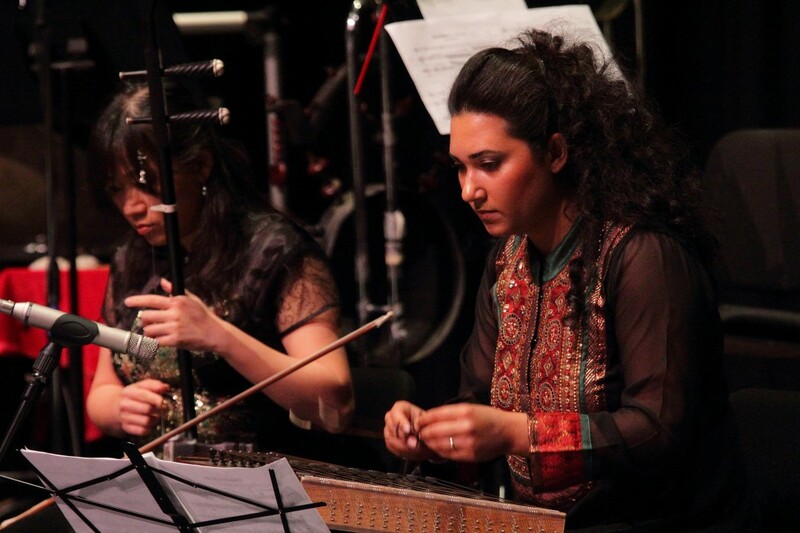 The Vancouver Inter-Cultural Orchestra’s mission is to act as a forum for the creation of a new musical art form, one in which all of Canada’s resident cultures can take part. Through composition, performance and educational outreach to both music professionals and the general public, the VICO serves as a voice for Canadian composers and musicians of diverse backgrounds, and fosters the creation of musical works that fuse and transcend cultural traditions. 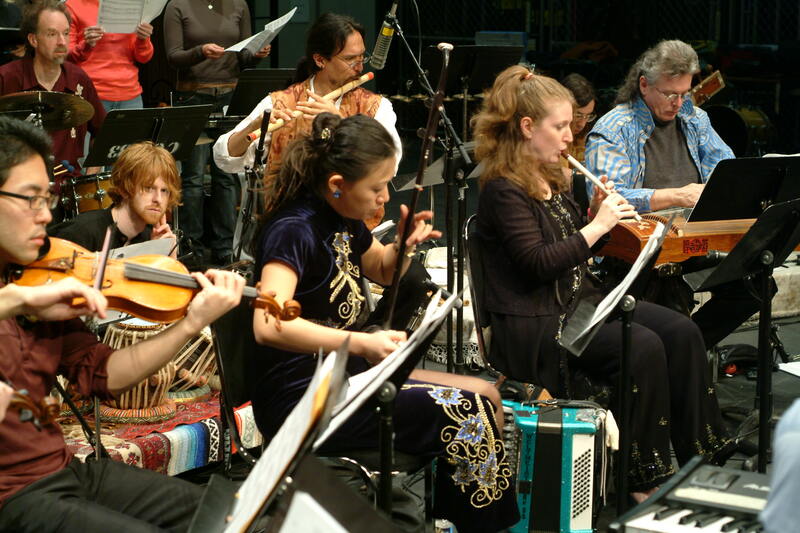 The Vancouver Inter-Cultural Orchestra’s inaugural performance took place on November 13, 2000 at Vancouver’s Sacred Music Festival. The concert featured the world premiere of founding artistic director Moshe Denburg’s composition Rapprochements (Reconciliations) for Inter-Cultural Orchestra – a work commissioned by the Westcoast Sacred Arts Society, and scored for a mixed choir and an ensemble of 28 instrumentalists from a variety of musical and cultural backgrounds. Subsequently, the VICO was incorporated as a B.C. society in 2001, and received registered charitable status in 2003. (Registration #: 87580 8511 RR0001). The VICO has collaborated with many other organizations in Vancouver’s world music and new music communities, including the Sacred Music Festival, the Chutzpah! Festival, the Canadian Memorial Church and Centre for Peace, Vancouver Pro Musica, Laudate Singers, the NOW Orchestra, the Chan Centre for the Performing Arts, UBC School of Music,Vancouver Community College School of Music and Capilano University School of Music. In April 2004, VICO appeared with Laudate Singers and the Vancouver Symphony Orchestra in Celebration for Peace, a tribute to His Holiness the Dalai Lama held at the Orpheum Theatre. In 2010, co-Artistic Directors Moshe Denburg and Mark Armanini were featured speakers at the Canadian New Music Network’s “Partnering Diversities” Conference in Halifax. The VICO launched an artist-in-residence program in 2007 with a week-long visit from Toronto-based composer, percussionist and educator Trichy Sankaran, followed in 2009 by Dutch composer Joël Bons, the leader of an Amsterdam-based inter-cultural group, The Atlas Ensemble. VICO representatives have since travelled to Amsterdam annually to attend the Atlas Academy, an international gathering of interculturally-minded composers and musicians. 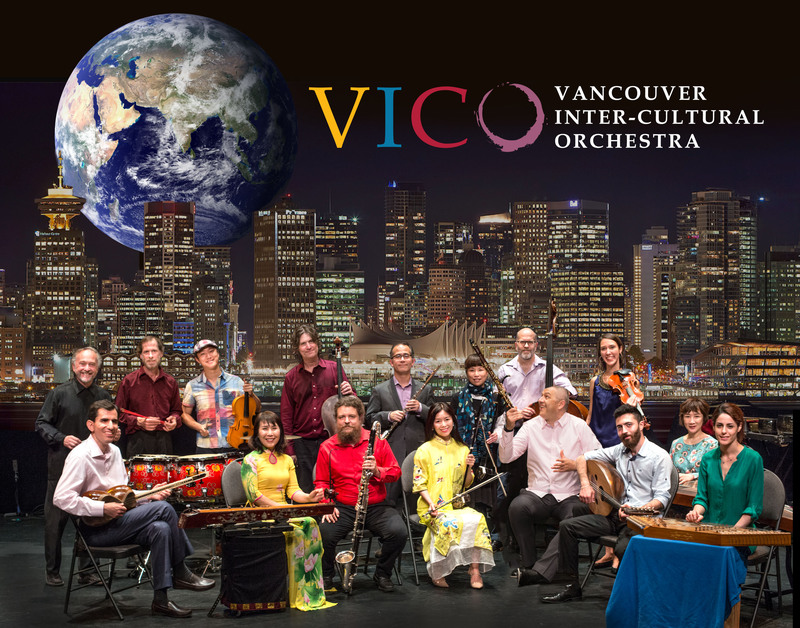 The VICO has hosted many other international guest artists in Vancouver, including Curtis Patterson (koto), Bruce Huebner (shakuhachi), Janelle Yichen Chang (satar), Yu-Chen Wang (zheng), Naomi Sato (sho), Harrie Starreveld (shakuhachi & flute), Dhruba Ghosh (sarangi), Issui Minegishi (ichigenkin), Miyama McQueen-Tokita (koto), Ling Hsuan Chen (sheng), conductor Chih-Sheng Chen with the Little Giant Chinese Chamber Orchestra, Gevorg Dabaghyan (duduk), Neva Özgen (kemençe), Kiya Tabassian (setar), Constantinople, Van-Anh Vo (dan tranh), Shawn Mativetsky (tabla), Chen Zhuohui (percussion), Kayhan Kalhor (kamanche & setar), Elshan Mansurov (kamanche), Elcin Naghiyev (tar), Saeed Mirzazadeh (tar) and guest conductor John Zoltek. The VICO’s composers and musicians are on the cutting edge, writing and performing the Canadian music of the future. VICO’s mission is to be a fresh and relevant voice in the contemporary music of our country…a creative force for innovation, diversity and understanding.